Nineteenth-century medicine was characterized by constant competition among three major medical sects: Regulars, Eclectics, and Homeopaths. Each of these medical sects not only meaningfully disagreed on how to treat illnesses and diseases, but sought to portray their type of practice as the most effective and scientific. Arguably none of the three sects was superior to the others, but their adherents concluded that their sectarian beliefs were better than their competitors. Regulars were the inheritors of Galenic tradition and were the largest and most established of the three sects. Homeopaths represented a new approach to medicine with a new unified medical system developed in the eighteenth century. Homeopaths were quite successful in the United States and represented the biggest threat to the Regulars’ dominance of medicine. The Eclectics were true to their name. They were a diverse sect composed of dissident Regulars, herbalists, and medical reformers. While the Regulars were the largest sect, their members constantly worried that they may lose their place at the head of the table of American medicine. In the later portion of the 20th century, Regular physicians would constantly lobbying state legislatures to create medical licensing to solidify their place as the preeminent medical sect. Before 1800, western medical therapeutics changed remarkably little over the last 2,000 years. 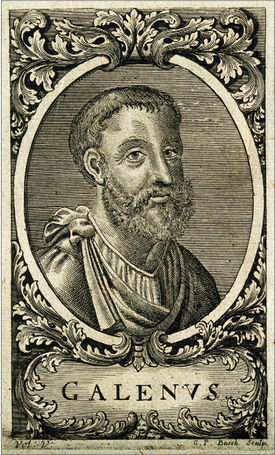 Traditional Regular physicians (also known as Allopaths) might have viewed themselves as learned professionals, but Galen’s 2,000-year-old “four humoral theory” was the basis for their therapeutic methods. “The body was seen, metaphorically, as a system of dynamic interactions with its environment,” and physicians believed that specific diseases played an insignificant role in the system. During the nineteenth century, this understanding of the human body came under assault because it was not effective in treating human illnesses. Many formally educated physicians (Regulars) were the followers of Galen’s therapeutic legacy, but during the nineteenth century they became increasingly devoted to the principles of scientific medicine. They began to believe in the “long-term efficacy of such principles as rational research and cooperative intercommunication.” The Regulars created medical societies and journals and attempted to combat the abysmal standards of American medical schools. Their approach to medicine was essentially scientific, but their alleged reliance on science produced few results until the late nineteenth century because they lacked the tools to truly understand viruses, bacteria, and human physiology. As a result, the Regulars’ dominance of American medical practice eroded dramatically between 1820 and 1850. Competing medical sects and systems evolved to fill the vacuum. As the Regulars’ monopoly over medicine waned during the nineteenth century, numerous medical sects quickly developed. In time, these dissenters became known as Irregulars. In some ways, these medical sects were pushed and pulled by the same fervor that led to the creation of many new and unique Christian faiths during the Second Great Awakening. Like those assorted faiths, some of these sects were little more than fads and disappeared quickly after their birth. However, two Irregular medical sects, the Eclectics and the Homeopaths, became formidable competitors to the traditional Regulars during the nineteenth century. Several unorthodox medical sects arose because they believed that heroic medical practice of the Regulars was extremely dangerous. Homeopaths in many ways resembled Regulars. Like Regulars, they were initially trained by experienced physicians as apprentices, but eventually they developed their own medical schools. They created local, state, and national medical societies. Homeopathy replaced the earlier herbalist sect known as Thomsonianism to become the most prominent unorthodox medical practice in America. 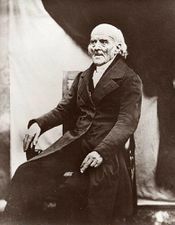 Samuel Christian Hahnemann, a German physician and theorist, developed the underlying theories and medical practices of Homeopathy in 1790s. Hahnemann established a medical system based on the principle of similia and the law of infinitesimals. The principle of similia held that physicians should treat patients with drugs that created the same symptoms in a healthy person that were being exhibited by an illness. Hahnemann created the law of the infinitesimal and he argued that the smaller and more agitated the dose of medicine, the more potent it became. While Hahnemann’s therapeutic theories were not particularly sound, Homeopathic patients benefited from their doctors’ willingness to allow the body to combat illness without much interference. Additionally, the drugs advocated by Homeopathic physicians were extremely diluted and did not actively harm their patients unlike Regulars. In essence, Homeopaths allowed their patients’ bodies to heal themselves and they did not further endanger their patients with bleedings and purgings as the Regulars did. Eclectic physicians differed from both Homeopaths and Regulars. 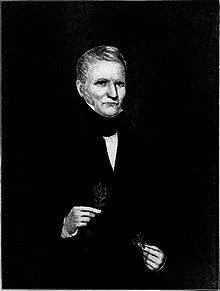 Eclectic physicians were the indirect descendants of the preexisting botanic movement known as Thomsonians. Unlike the Thomsonians, however they did not just provide herbal remedies. They incorporated herbal remedies into their practice, but they also worked as surgeons and utilized some Regular medical practices. As Thomsonianism was displaced by Homeopathy as the second largest medical sect, the remaining professional Thomsonsian practitioners allied with disgruntled Regulars and other medical reformers to form Eclectic medicine in 1830s and 1840s. Eclectics were a discordant group. They were extremely independent and predisposed to oppose any type governmental regulation. Unlike Homeopathy, Eclectics did not have a rigid medical orthodoxy. Eclecticism was true to its name; it was a mishmash of different types of physicians who practiced medicine as they saw fit. Unlike traditional Thomsonians, Eclectics encouraged medical education, and they took a far more pragmatic approach to medical treatment. Eclectics saw themselves as reformers and dissidents from traditional European medical tradition. Eclectics rejected the four humoral theory and sought to end “the vast amount of human suffering, the anguish of soul, the premature decay, and death, resulting from this Paganism [Galenism] in medicine.” Their objections to Regular medicine were well-founded. Many Eclectics were originally trained in Regular medical schools or by Regular physicians, but became disenchanted with heroic medicine and shifted towards a more pragmatic approach to health care. American herbalist Samuel Thomson who created of the Thomsonian System. Like Regulars, both Homeopaths and Eclectics were interested in organization and formal education. Homeopathic and Eclectic physicians created medical societies and began publishing medical journals throughout the country. The Homeopaths and Eclectics created medical schools that taught their medical systems, and these schools competed for students with Regular schools. Each of the three sects created local, state, and national organizations. Homeopaths formed their national organization, the National Institute of Homeopathy in 1843. The Regulars formed the American Medical Association, three years after the formation of the National Institute of Homeopathy. Eclectics also attempted to form a national organization, but it was scuttled after few years. The Eclectics would not reestablish a national voice until the 1870s. While Numbers argued that the development of the Irregular sects undermined the status of the Regulars, it is just as likely that the ineffectiveness of traditional Regular medicine and the ambiguous benefits of early Regular medical science spurred the expansion of these new sects. If Regulars had demonstrated to the public that their therapies were successful, patients might not have searched for alternatives. John B. Beck wrote a series of articles in 1847 and 1848 in the New York Journal of Medicine, which argued that heroic treatments such as blistering, mercury, and bloodletting were dangerous and potentially lethal, especially when employed by reckless physicians. Beck challenged the basic tenets and undermined Regular medicine in general. The gradual shift away from heroic treatments could have also undermined public trust in Regular medicine. While heroic methods were dangerous, the public would not necessarily have known that. All they would see was a major shift in how they were treated by their doctors. Homeopathy, Eclecticism, and later Osteopathy and Christian Science, gained adherents because of the growing public skepticism of the efficacy of Regular medicine. Homeopaths presented the greatest threat to Regulars because they persuasively argued that their therapeutic methods were potentially more scientific than those of the Regulars and they obtained credibility comparable to Regular physicians. In 1912, Frederick R. Green, at the behest of the American Medical Association, wrote that medicine began to fundamentally change after the Civil War because “the old order of things had been practically wiped out.” Green’s assessment was accurate. Educated Regular physicians were forced to rethink the historical tenants of Regular medicine. Additionally, Regulars faced legitimate challenges from Eclectic and Homeopathic physicians who argued that Regular medicine was ineffective and unscientific. Concerned physicians from the Medical Society of the State of New York sought to create a national movement to raise the standards in American medical schools. These Regulars called for a national convention of medical societies and schools to be held in 1846. In 1846, delegates decided to create a national medical society, the American Medical Association (AMA). The delegates hoped the AMA would enable the medical profession to regain some of its former luster. The newly formed AMA immediately identified three aspects of American medical practice that needed to be reformed. First, the association conjectured that most students were inadequately prepared for the rigors of a medical education. The AMA argued that medical schools needed to demonstrate the “firmness to reject all importunity not sustained by real and appreciable qualification.” At the time, medical schools rarely refused admission to any candidates regardless of their qualifications or abilities. Second, the AMA wanted to ensure “competent and complete instruction” for the nation’s medical students. Finally, the AMA wanted to have a “severer test of qualification for admission into the profession.” The AMA would gradually see licensing as the best way to accomplish this final goal. While the AMA’s efforts to reform medical education were largely ineffectual in the nineteenth century, the group successfully established itself as the national hub for local and state medical societies. In this role, the AMA was a strong proponent of medical licensing and encouraged state and local societies to lobby their state legislatures to eliminate Irregulars. The AMA advocated for medical regulation that would limit competition between Regulars and Irregulars, reduce the total number of practicing physicians, stop the growth of malpractice actions, and improve the quality of medical care. Regardless of the positions taken by the AMA, the general public did not appear to support medical licensing. Public support for registration or licensing laws was tepid at best. When physicians lobbied for medical licensing in state legislatures, they often did it on their own. While the AMA was a strong advocate for licensing, its Code of Ethics and its general hostility towards Irregular practitioners were generally counterproductive in its fight for medical licensing. To become members of the AMA, the AMA required local and state societies to adopt its Code of Ethics. The code barred Regular physicians from consulting with any Irregular practitioners and fostered an antagonistic relationship between Regular and Irregular doctors. The code further complicated efforts to pass medical licensing because Regular physicians were often initially both unwilling to cooperate and were openly hostile to the Irregulars. The AMA code not only prevented Regular physicians from consulting with Irregulars, but encouraged local and state medical societies to expel Regular physicians who utilized Irregular treatments. If medical societies failed to purge those colleagues, they were not permitted to send delegates to the national AMA convention. A prominent example of the problem arose in 1870, when the Massachusetts Regular chapter of medicine was given an ultimatum by the AMA to expel questionable members or else lose its privileges at the national convention. After a wrenching internal debate and the unpopular removal of several prominent physicians, the Massachusetts Medical Society ruined its reputation when the public supported Homeopaths in this dispute. Instead of eliminating the influence of Homeopaths in Massachusetts, the “persecution [of the physicians] strengthened the will” of the martyred Homeopaths and reinvigorated Irregular practice. By antagonizing the state’s Homeopathic physicians, Massachusetts’s Regulars also undermined their attempts to passing medical licensing laws for the next twenty-four years. It also should not be surprising that Regular state medical societies vigorously renewed their push for licensing at the same time as the last Homeopaths were being purged from Regular state medical societies. After the American Medical Association had expunged Irregulars from local medical societies, Eclectics realized that they needed to reestablish a national association to protect themselves from the AMA. The original national organization was founded after a group of physicians from the “Eclectic Reform School” met in Cincinnati, Ohio, at the Eclectic Medical Institute for the National Convention of Eclectic Physicians in 1850. This first National Convention morphed into a new organization, the National Eclectic Medical Association (NEMA). Unlike the AMA, the first NEMA did not survive. In 1856, the chairman of the Committee on the State and Progress of Medical Reform complained that an insufficient number of Eclectic physicians were attending NEMA’s convention. During the organization’s last convention, the vice-president of NEMA decried the “apathy manifested by Eclectics in not sustaining their organizations.” The diverse nature of Eclectic medicine undoubtedly undermined attempts to create a cohesive membership organization. In June 1869, in response to the growing threat of the AMA and Regulars pushing for new licensing laws, the Eclectic Medical Society of the State of New York and the Reformed Medical Association of the United States organized a committee to explore holding a nationwide convention for “Physicians belonging to the New School of Medicine.” These physicians were deeply concerned about the Regular threat to their medical practice. Additionally, Eclectics did not have an effective national voice to advocate on their behalf. The early version of the Eclectic’s national organization folded six years after it was founded in 1850. In 1870, the New York Eclectic society contacted various state medical societies and Eclectic medical colleges and proposed holding a national convention in Chicago, Illinois. In fall 1870, Eclectic physicians from around the country descended on Chicago and created a new national Eclectic organization. A prominent New York physician, Robert S. Newton, welcomed the Eclectics to Chicago and informed them that “persons connected with the different branches of the profession” hoped their meeting would fail, but he asked the attending doctors to let “nothing but harmony and peace prevail.” While Newton’s congregation was quite small, he sought to create an organization that could represent the interests of an estimated ten-thousand American Eclectic physicians. These physicians voted to create a new national organization, the National Eclectic Medical Association (NEMA). By 1870, these three national medical organizations along with their local and state affiliates began the thirty-year battle over dominance of American medicine. While the Regulars represented the largest number of physicians in the country, they were constantly concerned that the Homeopaths and Eclectics threatened their dominance. Principally, these organizations sought to establish or maintain their power through the passage of licensing laws that benefited their sects throughout the United States. All of these organizations played a critical role in shaping and passing the new licensing laws. While the differences among the three sects over medical licensing played out in legislatures, all of these organizations faced internal dissent and strife that complicated licensing efforts and fractured previously unified sects. How did Medicine develop in the Ancient World? How did botched abortions spur the push for medical licensing in 19th Century? ↑ Sandvick, Clinton (2016)Defining the Practice of Medicine: Licensing American Physicians, 1870-1907. unpublished manuscript. ↑ Charles E. Rosenburg, “The Therapeutic Revolution: Medicine, Meaning and Social Change in Nineteenth-Century America,” in The Therapeutic Revolution: Essays in the Social History of American Medicine, ed. Moris J. Vogel and Charles E. Rosenburg, (Philadephia, University of Pennsylvania Press, 1979), 3. ↑ James Mohr, Abortion in America: The Origins and Evolution of National Policy, 1800-1900 (New York, Oxford University Press, 1978), 33. ↑ Joseph F. Kett, The Formation of the American Medical Profession: The Role of Institutions, 1780-1860 (New Haven and London, Yale University Press, 1968), 162. ↑ Rosen, The Structure of American Medical Practice, 20. ↑ Kett, American Medical Profession, 31. ↑ Martin Kaufman, Homeopathy in America: The Rise and Fall of a Medical Heresy (Baltimore and London, The Johns Hopkins Press, 1971), 23. ↑ Kaufman, Homeopathy in America, 23-24. ↑ Kaufman, Homeopathy in America, fn. 114. ↑ Transactions of the National Eclectic Medical Association for the Years 1870 and 1871 (Geo. R. Yeates & Co., New York, 1872): 142. ↑ Cited by Rothstein, American Physicians, 180. ↑ Frederick R. Green, Sixty-Six Years of Medical Legislation, (Chicago, American Medical Association, Chicago, 1914). ↑ Rothstein, American Physicians, 115. ↑ Transactions of AMA, Vol. III (1850): 146. ↑ Kaufman, 54. Starr, 99. ↑ Transactions of National Eclectic Medical Association 1879-80, (1880): 362. ↑ Transactions of the National Eclectic Medical Association for the Years 1870 and 1871, Embracing the Proceedings of the Two Conventions Held at Chicago and New York Respectively, (1872): 25-29.